The global water cycle is facing many challenges. The overall water demand is increasing mainly because the global population is growing, economies are emerging, and consumption patterns are changing. Climate change is intensifying the water cycle, which means that dry areas are becoming drier and wet regions are becoming wetter. The majority of rivers in Africa, Asia, and Latin America have become more polluted, presumably due to population and economic growth as well as the lack of wastewater management systems. Over five billion people could be affected by water shortages by 2050. Simply put, our planet and societies are facing many severe water management challenges, and affordable and effective sustainable solutions are urgently needed. The good news is we don’t have to only come up with brilliant new solutions. The natural world surrounding us offers a multitude of so-called nature-based solutions to conserve and rehabilitate water ecosystems across all sectors, particularly regarding sustainable agriculture and sustainable cities. Nature-based solutions (NBS) — actions that are inspired and supported by nature and that use, or mimic, natural processes to manage resources — provide multiple services to address these challenges and offer further benefits. 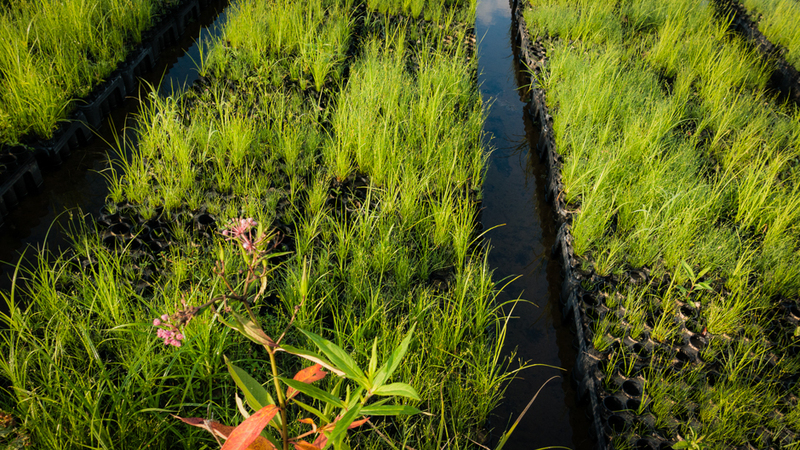 Constructed wetlands are an example of an untapped, low-technology, cost-effective NBS for pollution control, securing water supply, and improving agricultural resource management. They are engineered systems using the natural functions of soil, plants, and microorganisms to retain water and improve water quality. Moreover, they recycle nutrients (e.g., nitrogen and phosphorous), provide habitats, and contribute to recreation, education, research, and landscape enhancement (under appropriate circumstances). A United Nations University study shows that with the strategic introduction to an ecosystem at the collection and treatment point of wastewater, a community of 500 people can irrigate about a hectare of agricultural land and fertilise five to seven hectares. Harvested plants from constructed wetlands for wastewater treatment can provide 12% of a village’s cooking fuel needs. 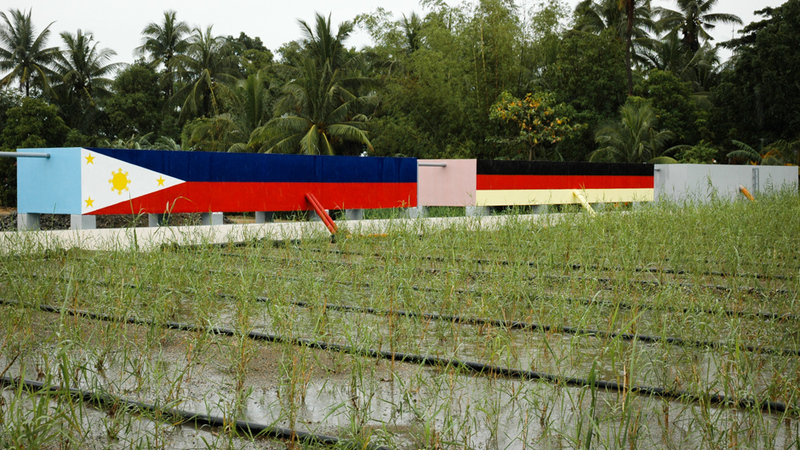 In another case, a constructed wetland was installed along with a resettlement project in the City of Bayawan in the Philippines. Previously, families living in informal areas directly discharged their wastewater into the sea. The City Health Office recorded a high number of cases arising from waterborne diseases (e.g., diarrhea). The settlement was relocated to the city outskirts and a new wastewater management system was built. The system consists of sewer pipes with small diameters and a combination of different types of constructed wetlands. Thanks to the new system, people residing in 676 homes now benefit from safe sanitation and wastewater treatment. Moreover, coastal waters are protected from pollution and treated wastewater is reused in a horticulture and vegetable farming project. Though there are many such projects worldwide, there is a lack of information at all levels and the knowledge base on constructed wetlands needs to be improved. The UNU Institute for Integrated Management of Material Fluxes and of Resources (UNU-FLORES) is currently developing the Constructed Wetlands Knowledge Platform entailing an interactive map and a comprehensive database to assess the amount of wastewater treated globally by constructed wetlands, and to support scientists, practitioners, decision-makers, and civil society in their efforts to establish this technology. Nature-based solutions such as constructed wetlands can provide multiple benefits to local communities and the environment. Successful projects have been implemented around the world. Still, there is a lack of information on these nature-based solutions, such as how constructed wetlands address local water challenges. More projects, such as that of UNU-FLORES, are needed to improve the knowledge base and its accessibility so that more nature-based solutions can be implemented to enhance water availability, improve water quality, and reduce risks associated with water-related disasters and climate change. Kurt Brüggemann is a Junior Researcher at the United Nations University Institute for Integrated Management of Material Fluxes and of Resources (UNU-FLORES). Tamara Avellán is a Research Fellow in the Water Resource Management Unit at the United Nations University Institute for Integrated Management of Material Fluxes and of Resource (UNU-FLORES). A biologist by profession, she has conducted research on the ecological impacts of water quality on aquatic life and on the effects of excess nutrient loads on plant morphology. At UNU-FLORES, Dr Avellán focuses on the linkages of water, soil, and waste for reducing resource losses.